Udon Entertainment has brought us a new spin on Street Fighter. 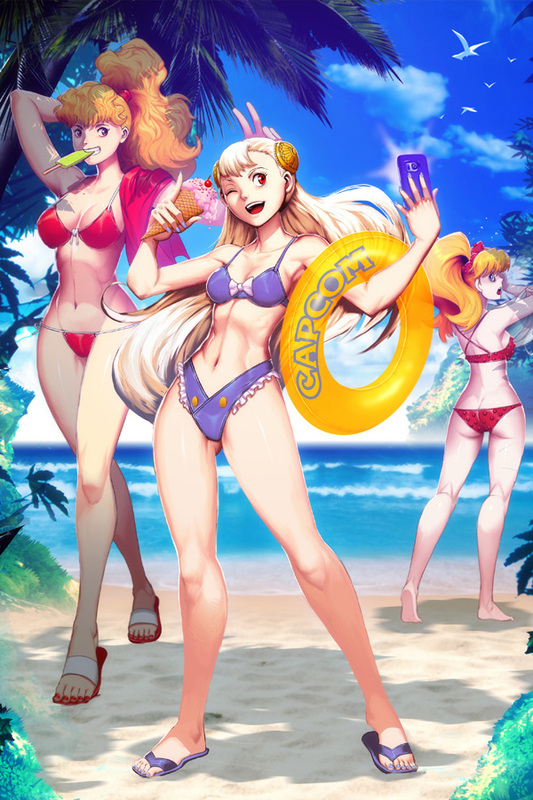 The Street Fighter Swimsuit Special #1 is a new artbook disguised as a comic featuring many fan favorite characters from the popular fighting game series. As the name implies, they are all in swimsuits at the beach, but not fighting each other. Instead they are just hanging out and having a good time. Despite what you may think, this release is not just limited to the women of Street Fighter like Chun Li or the newly introduced Laura. There is actually a lot of attention given to characters like Vega, E Honda or Ryu. They even included lesser known characters like Maki from Final fight 2 who gets a page to herself! It was great to see her included in here, despite the fact that she was only ever playable in certain versions of Street Fighter Alpha 3 and Capcom vs Snk 2 if that counts. Over fifteen artists have contributed to this book, which means you get a nice variety of art-styles ranging from a very wacky and cartoon-y look, to more realistic portraits of certain characters. There were quite a few of these that I would like to own prints of and would hang up in the room! The best part about the art in this, is that the artists did a great job keeping it true to the characters they were drawing. Nothing ever felt out of character. A lot of love and care went into these 32 pages, and I think Street Fighter Fans will really enjoy it. 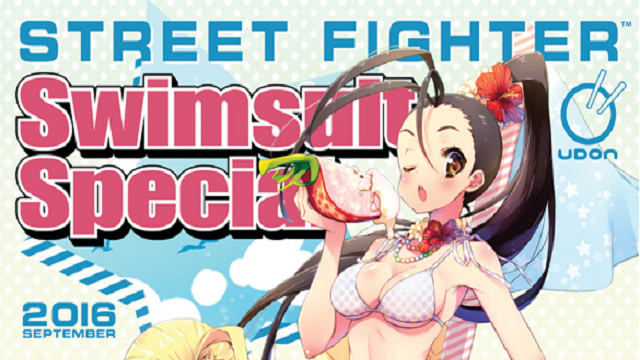 Street Fighter Swimsuit Special #1 is available now and it’s not a bad way of spending $3.99! Though you could end up spending more if you decide to buy all of the four variants. This copy of Street Fighter Swimsuit Special was provided by Udon.